‘It’s three weeks since you were conceived, and your brain has just started to form. A quarter of a million neurons are growing in your head with every passing minute.’ So begins the narrative of a new exhibition at Oxford’s Museum of Natural History in partnership with Oxford Neuroscience, opening on 10 March 2017. 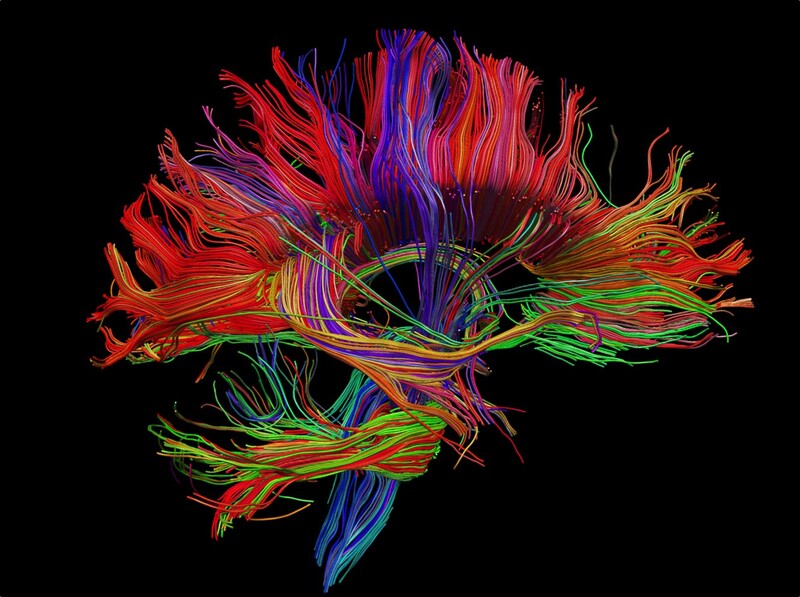 ‘Brain Diaries’ charts the astonishing development of the human brain, from conception through childhood and adulthood to old age. Along the way, visitors will learn how modern neuroscience is overturning some popular misconceptions about the brain. Did you know, for example, that your brain isn’t fully developed until your mid twenties? Or that even in old age, neurons are still building new connections and networks, maintaining your ability to adapt and learn? Visitors can see a case of mammal brains and find out how the human brain evolved as a result of primates adapting to living in trees. Also on view will be some 3D printed brains of an entire family, showing how the physical brain changes over time. A short animation reveals some of the secrets of teenage brain development. You can watch ‘talking heads’ videos where researchers explain brain structure, sleep and senses. There are lots of exciting ways to get involved, including sorting real from fake words in a lexical decision task, and suggesting ideas for a functional magnetic resonance imaging experiment. And on top of the exhibition itself, there is a vast programme of brain-related events encompassing everything from films to panel games. Over 50 neuroscientists based in the University of Oxford’s science area and at the hospitals have contributed to the development of the exhibition and associated events. They have ventured out of their laboratories, clinics, and offices to share the stories of their latest discoveries. Some of them are working on the molecular level, looking in incredible detail at brain cells and how they connect. Others are more interested in how the brain’s development affects behaviour. Many are using their research to try to get to the bottom of some of the things that can go wrong with the brain, in order to find new treatments for debilitating conditions such as dementia, motor neurone or Parkinson’s disease. 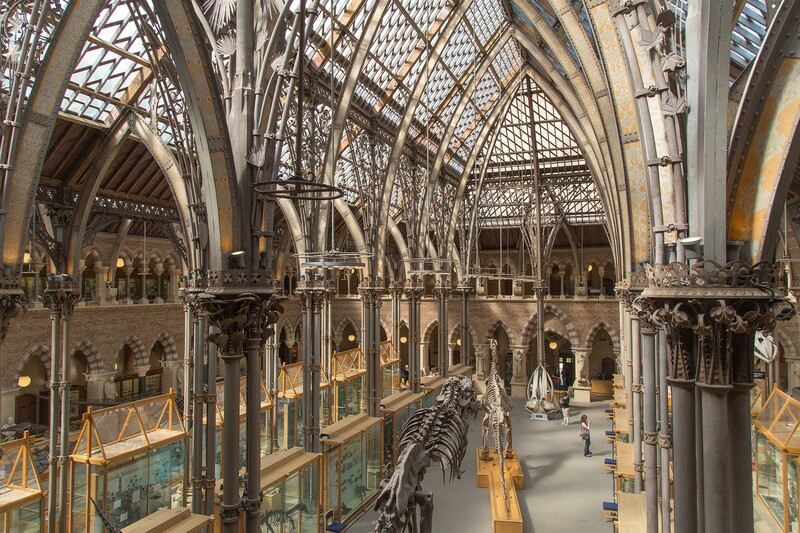 Now for the first time, these academics and clinicians are bringing their fascinating work to life in the beautiful public arena of Oxford’s Museum of Natural History. So, who are these people on a quest for potential brain science breakthroughs? And what drew them to dedicate their working lives to this often painstaking task? Professor Martin Turner from the Nuffield Department of Clinical Neurosciences can pinpoint the exact moment his interest in the brain was sparked. At the tender age of seven, he suspended a magnet over his head in bed to see whether it would influence his dreams. As he self-deprecatingly notes, ‘It marked the first of many confirmations of the null hypothesis’. Later, in his teenage years, he desperately wanted to understand how his grandfather, a railway signalman able to mend broken radios with nothing but a soldering iron and a few transistors, could become incapable of wiring a household plug or recognising his wife. ‘We are working in an era of neuroscience that future generations will look back upon in the same way that we look back at the Industrial Revolution’. Martin is not the only one of our neuroscientists to have become curious about the brain during childhood. While still in kindergarten in Hungary, Zoltán Molnár used to offer to help his Mum with the gruesome task of cleaning chicken and duck in the kitchen, solely so that he could examine the birds’ internal organs, especially their brains. Professor Molnar now spends his time in the Department of Physiology, Anatomy and Genetics investigating how the brain ‘talks to itself’. What is the process by which we distinguish what’s out there from what’s in our own imagination? Zoltán would like to understand how the cerebral cortex — the brain’s outer layer of neural tissue which plays a key role in perception and consciousness — communicates with the thalamus, which collects sensory information from the outside world and compares our plans with our actual movements. Many things can go wrong during this process, which can lead to schizophrenia, autism, ADHD and dyslexia. It’s not difficult to see why Zoltán would like to uncover the mysteries of the mechanisms of circuit development — imagine finding some clues that could help lead to more effective treatment of these conditions. Like all children, Alek is also good at asking difficult questions. One that he put to Rafal recently went like this: ‘Dad, if no single neuron can see, how is it that we can see?’. The answer, of course, is that our complex intelligence arises from interactions between billions of simple elements. Catherine Harmer was 14 when she started to wonder about how such intelligence might be enhanced. She was preparing for a maths exam and came across a practice on a TV documentary called ‘hot housing’. This turned out to be the intensive training of children from a very young age. In the programme, 5-year-olds were doing more advanced maths than she was as a teenager. Cath was intrigued with the suggestion that people’s brains could be trained to do anything with enough practice. Even though she wasn’t ‘hot-housed’, Cath must have done well enough in her maths exam since she is now Director of the Psychopharmacology and Emotional Research Lab at Oxford’s Department of Psychiatry. She is fascinated by how the brain produces emotions, and how these functions can go wrong. What inspires her is the fact that her research may be used to improve treatments for people suffering from depression, by helping the brain reach a good emotional balance. She enjoys the sense of being on a journey of discovery: ‘that today might be the day that we find something that wasn’t known before’. We all know from experience that one key element important for emotional balance is sleep. But it might surprise you to learn that scientists don’t really know a great deal about why we sleep. What is clear is that while we sleep the brain consolidates memories and undertakes some form of ‘house-keeping’, recycling proteins that would otherwise start to build up and cause problems. Christopher-James Harvey is based at Oxford’s Sleep and Circadian Neuroscience Institute, where the team are working to understand more about sleep and its impact on mood, quality of life, mental performance, physical health, and perceptual experience. Chris’s favourite ‘amazing brain fact’ is that the brain uses more energy during some parts of sleep than it does during wakefulness. Oxford researchers are busy trying to work out what is going on when sleep and ‘circadian rhythm’ (more commonly known as the body clock) are disrupted, especially in neuropsychiatric disease. They are looking at genetics, cells, anatomy and physiology, and using their findings to feed into their sleep medicine training for health professionals. Clearly there is a long way to go until we grasp even some of the most basic brain mechanisms. Oxford is home to some truly pioneering neuroscientists chipping away at the intricate mystery of what makes us human, and adding to our arsenal of available treatments when things go wrong. The Brain Diaries Exhibition opens on 10 March 2017. Want to read more? Try our articles on: the Oxford roots of these billion-dollar unicorn startups, The future of work and How do you design the library of the future?.